Some more news for you today. I’m shuffling! Are you? 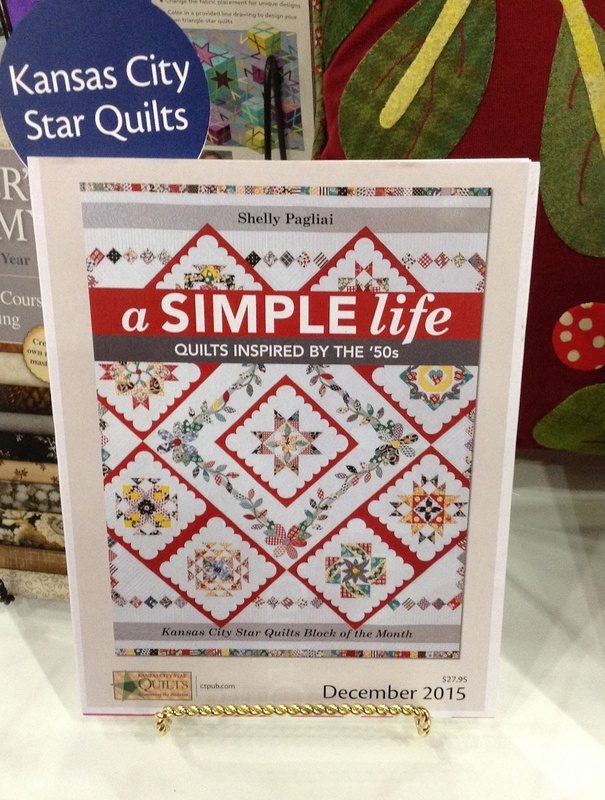 There’s a new Quilt-Along going on, sponsored by Moda, and it’s called the Moda Sampler Shuffle. 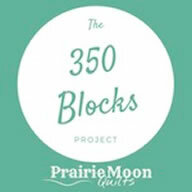 It’s got the cutest blocks — 30 of them over 10 weeks, to be exact — all designed by Moda’s team of fabric designers. 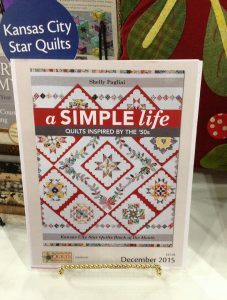 You can join in on this through your local quilt shop, if they’re offering it, or if not, look around and find a quilt shop that is. It’s easy to get in on this! 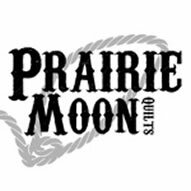 I’m doing mine through my own local quilt shop, Sew Sweet Quilt Shop, and I’ve so far managed to keep up, which is astonishing all by itself! We’re on the third set of 3 blocks, so it’s not too late to get in on this one. 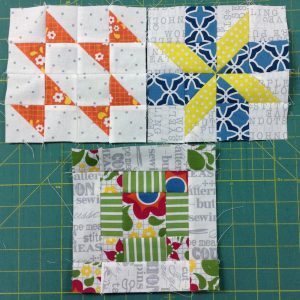 Even if you don’t have time to make the blocks right now, at least go download the patterns so you can make them later when you DO have the time. 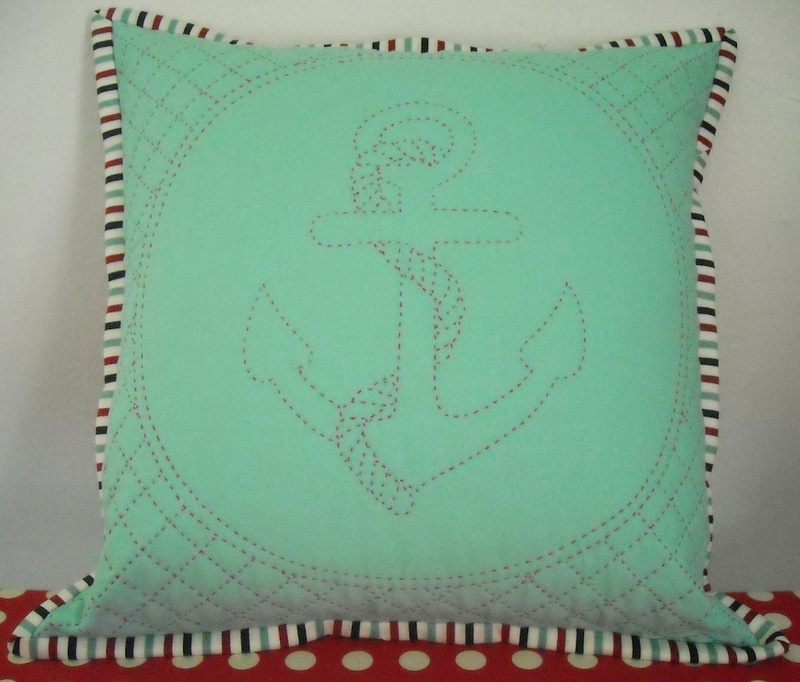 The patterns won’t be out there forever, and these are so cute, you don’t want to miss out. And . 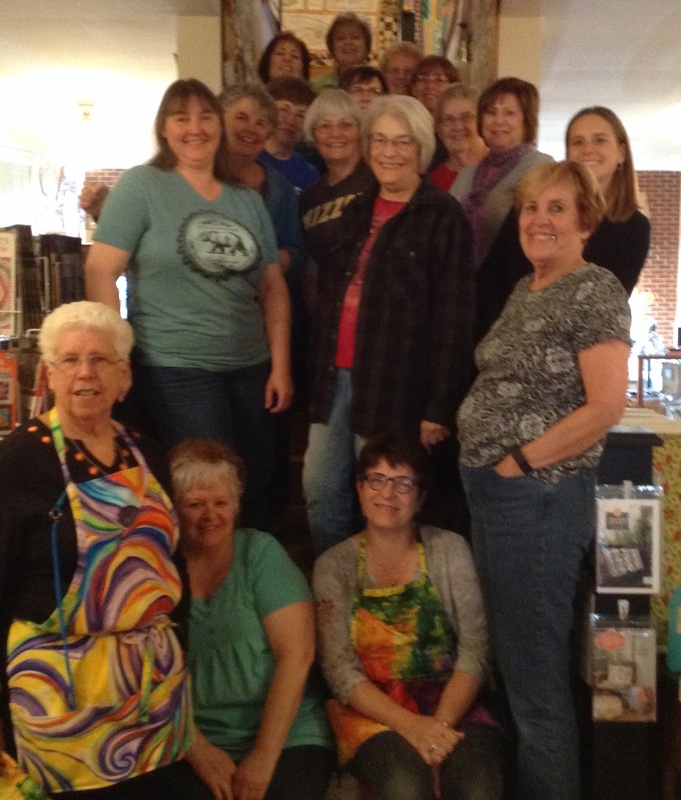 . . our guild hosted Lori East for a program and a sew day last week. We had her come to our regular meeting and present a wonderful program for us, and then she stayed with us all the next day, doing appraisals, and we all brought our stitching and sewed the day away. 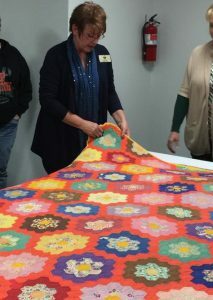 I’ve announced my classes for the Arrow Rock Quilt Camp next May. I’m repeating one of last year’s classes due to popular demand — the Aweigh pillow, a hand quilting class. And I’m teaching the Oak Leaf and Cherries wall quilt, where you can learn two different methods of applique — fusible or needle-turn, your choice (or learn both)! 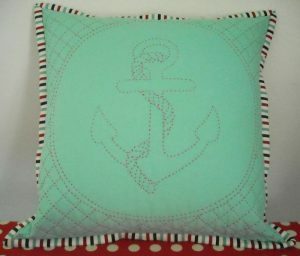 My third class will be a hand embroidery stitch sampler, where you can learn a repertoire of hand embroidery stitches. I’ll have pictures of that one by mid-December to show you. 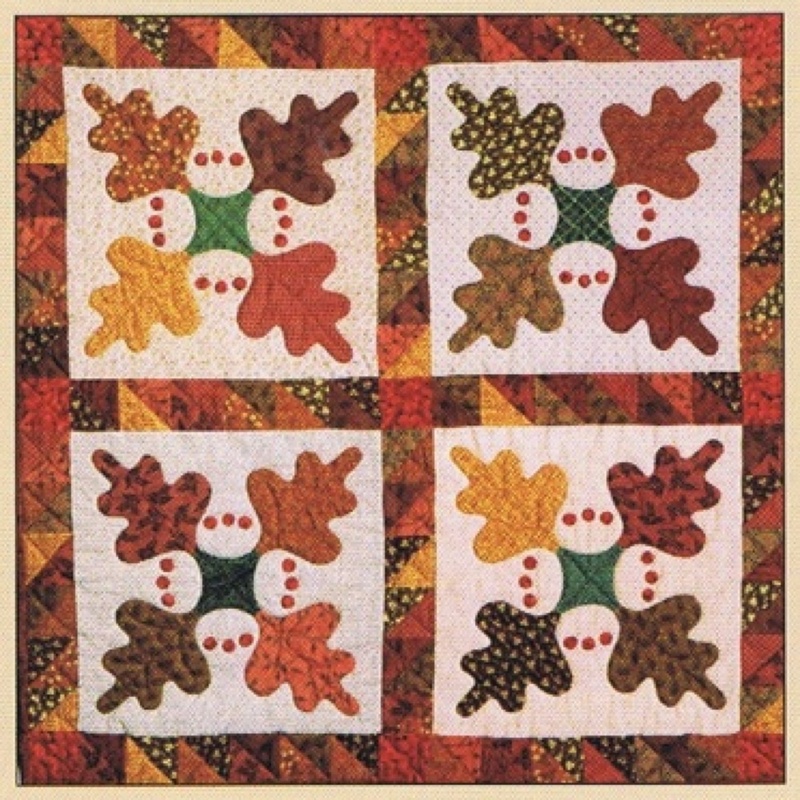 You can get more information about the Arrow Rock Quilt Camp HERE. Aside from the classes I’m teaching, there are 3 other teachers with some amazing class offerings as well. And you can take any of them you choose while you’re at camp! The camp runs May 2 – 6, 2016, and right now, the Early Bird special to reserve your spot has been extended to December 1st, so go sign up now to get a discount and get in on next year’s camp — it’s one of my favorite weeks of the year, it’s so fun — I’d love to see you there! In other news, yesterday’s Kansas City Star had the 11th installment of Hazel’s Diary in the House & Home section, so I hope you picked up your Sunday paper! If you’re playing along, you’ll notice that we’re done with the applique and are working on the final setting. Next month we’ll wrap it up with the December 20th issue. And work continues on the accompanying book that will have all the wonderful bonus projects, so I’ll keep you posted on that.
. . . and more — so stay tuned! Shoot. I have trouble keeping up with all of this and most of it I only read about……………what if I were actually doing it!!! 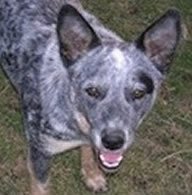 Hey, thank you for the shout out., Shelly I had so much fun with you all! 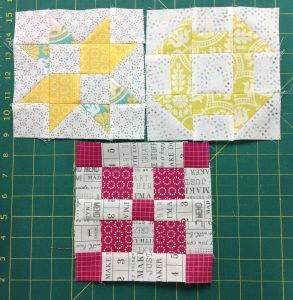 I am debating doing the sampler shuffle. I’ve been printing off the blocks but haven’t actually started them. Maybe one of these days…they are all such cute blocks! 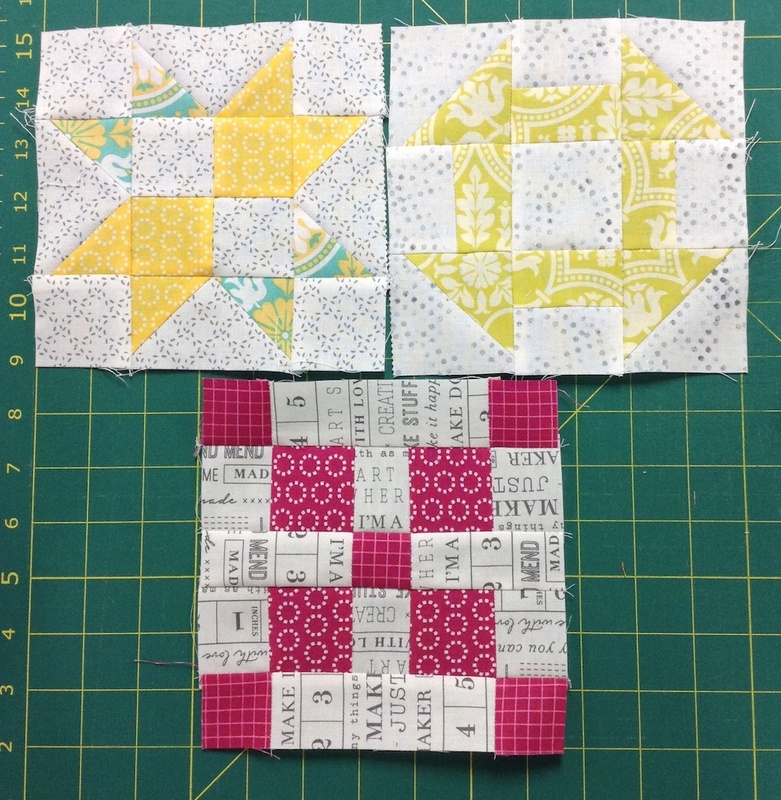 Still debating whether to do a scrappy one and use up some of this STUFF, OR buy new fabric. You might guess which option will win. 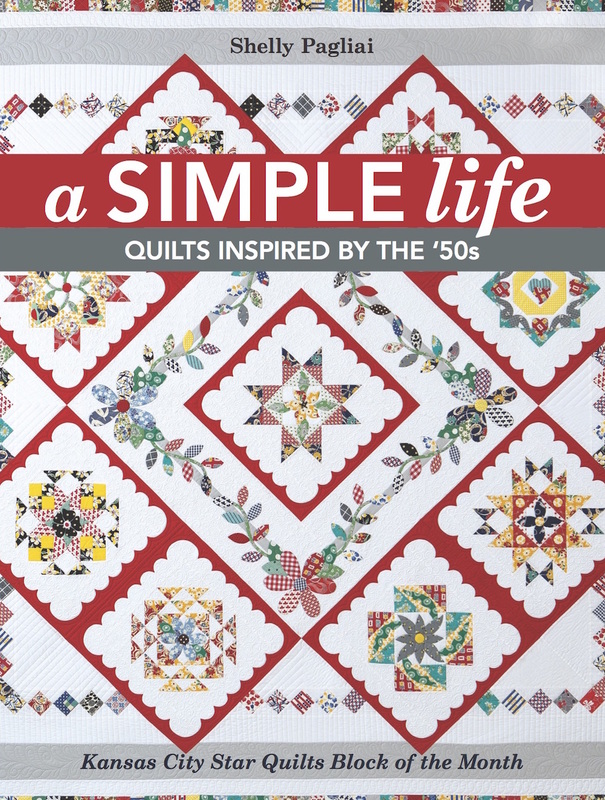 One of these years I would love to come to Quilt Camp. Arrow Rock is such a fun place. I’m doing some research in the area so could easily “justify” needing to be there, right? It could happen. You are too darned busy…how do you get it all done? I suspect you have a secret way of squeezing an extra twelve or so hours out of your day.